The latest document to surface showing that Warren tried to advantage herself through phony claims of Native American ancestry came on a 1986 registration card for the State Bar of Texas, and after the revelation of that document she would not or could not clarify whether there were additional documents where she declared Native American status, NBC News reported. The Washington Post on February 5, 2019 reported on Warren’s registration card disclosure for the State Bar of Texas. The Texas bar registration card is significant, says Solange Reyner of NewsMax, because it removes any doubt Warren directly claimed Native American identity. And let’s be clear about Senator Warren’s long-claimed Native American ancestry and how she clearly benefited professionally and politically from that claim: She listed herself in professional directories as a Native American and was touted as Harvard Law School’s first “woman of color” professor. 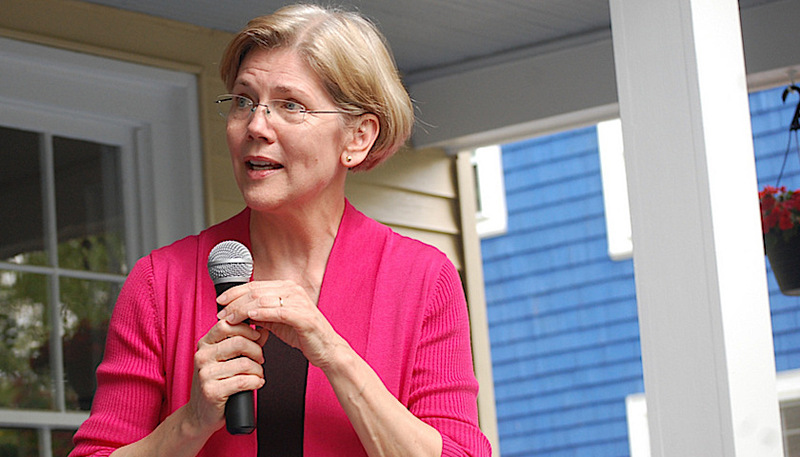 However, when Warren entered politics her story gained deeper scrutiny and began to unravel. The Cherokee Nation, to which she claimed affinity, had no record of her ancestry going back as far as its tribal records went, and it said so publicly. Donald Trump picked-up on this puffery early on and began to goad her about being a fake Indian, at one point even saying he would make a million-dollar donation if she could prove she was a Native American. Apparently, Trump’s talent for making Democrats do dumb stuff began to work its magic, because Senator Warren had her DNA tested to prove she was indeed of Native American ancestry. The test results were not exactly what Elizabeth Warren must have expected: The report on Warren’s DNA concluded that there is “strong evidence” that the senator had a Native American in her family tree dating back six to 10 generations. Meaning that Elizabeth Warren’s DNA results show that the Democrat’s Native American ancestry is roughly the same as that of the average white American and may be less. Most sensible politicians would have quietly buried that test, just as they bury unfavorable poll results or other embarrassing information, but not Senator Warren, she decided to brazen it out and proclaim that being “possibly” 1/1024 (0.09%) Native American proved her claim. The Republican National Committee seized on the report, suggesting that it did little to bolster her contention. The RNC pointed out that if Warren’s Native American ancestor was from 10 generations ago, that would make her less than 0.1 percent Native American. Until she underwent the DNA analysis, there was no absolute proof that Warren was not Native American. Now there is. Despite her televised claims of Cherokee and Delaware Indian heritage, Warren has never had any tribal affiliation, and the DNA test raised the possibility that she is whiter than the average white person despite all her bragging. Warren’s early dive into identity politics and racial preferences in hiring has guaranteed that her 2020 presidential campaign will become an agonizing genealogy project and provide another example of Trump’s awesome power to make Democrats do dumb stuff.